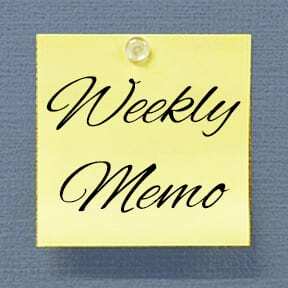 Note: The Weekly Wrap-Up will now be called the Weekly Memo. The memo gives a quick brief for the week. More detailed items can be found in the Parent Newsletter for parents and guardians of enrolled students. Fri Jan 25 – JSP Graduation – Congratulations to all the JSP Graduates! Mon Feb 11 – 7:00pm – Jazz and Java featuring Campbell Ryga. Tickets $15 in advance, $20 at the door. Contact the office for tickets. Please see the Events Calendar for more happenings. Preview Days are an opportunity for you and your child(ren) to see what our school is like on a regular day, and offers you a chance to meet some of the staff, check out our facility, and learn more about our programs. Please register with us if one of those dates works for your family. The day begins with a presentation from the Head of School, continues with a question and answer session and concludes with a tour of the facility conducted by some of our leadership students. Please do not hesitate to contact us if these dates do not work with your schedule, we would be happy to arrange a private tour. Exciting times are ahead for WRCA as we make preparations for the next phase of our building construction project. With that in mind, we thank you for your patience and cooperation as we have had to reconfigure our front entrance, foyer, office area and more. Please encourage your families to obey all signage, watch out for each other and to stay clear of the construction areas. This year our yearbook will again include a section of ads. If you have a business (or know of someone who has one) we would love to have the support. We are offering business card to half page sizes. Please contact Jim Mace (yearbook teacher staff) by February 28. Contact: Email-macej@wrca.ca; School phone-604-531-9186. Labels for all school needs. Shoes, clothing, stationery, gifts and more! Order on line and get it delivered to your home.